1. 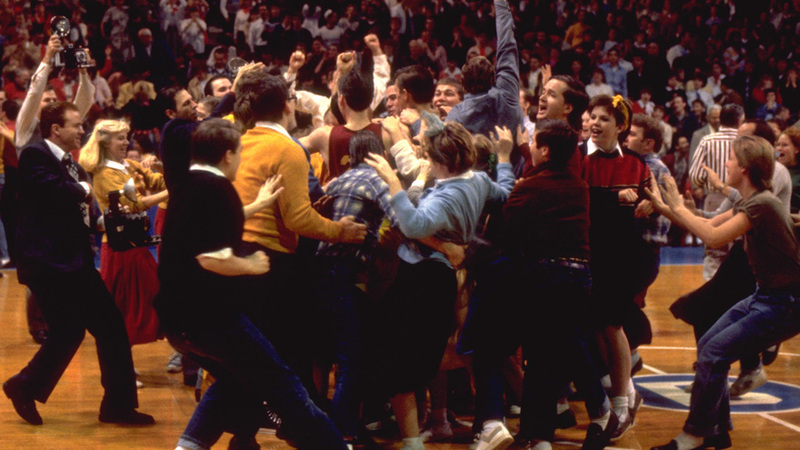 Hoosiers is loosely based on the Milan High School team that won the 1954 Indiana state championship. With an enrollment of 161 students, it still stands as the smallest school to win a state basketball championship in Indiana. 2. 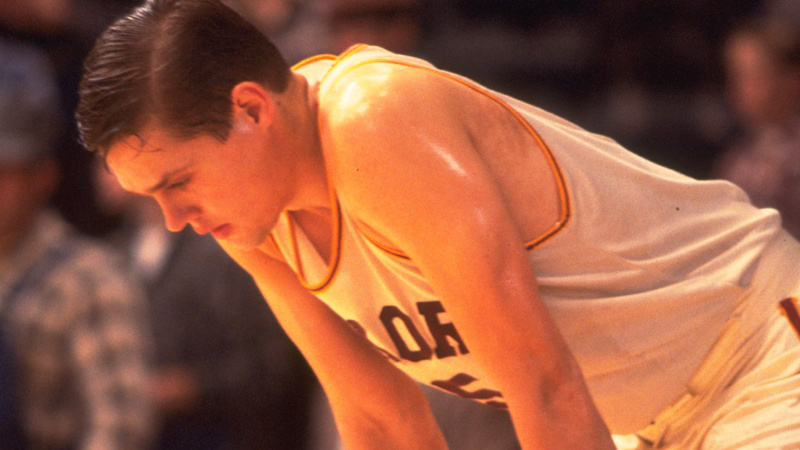 Maris Valainis, the actor who played Jimmy Chitwood, said he still gets recognized for his portrayal of a basketball player in Hoosiers…and he only spoke four lines in the entire movie! “If I’m in a social situation, I’ll get a lot of, ‘You look really familiar to me.’ And then finally someone will figure it out, which is amazing to me that 25 years later people would remember,” Valainis told the Los Angeles Times in 2010. 3. Hoosiers ranks HIGHLY on all sorts of movie lists – 13th on the American Film Institute’s 100 Most Inspiring Films of All Times; 4th on an AFI poll of the 10 Greatest Sports Films of All Time (just behind Raging Bull, Rocky and The Pride of the Yankees); and 1st on USA Today’s For The Win list of the 25 Best Sports Movies Ever Made. 4. 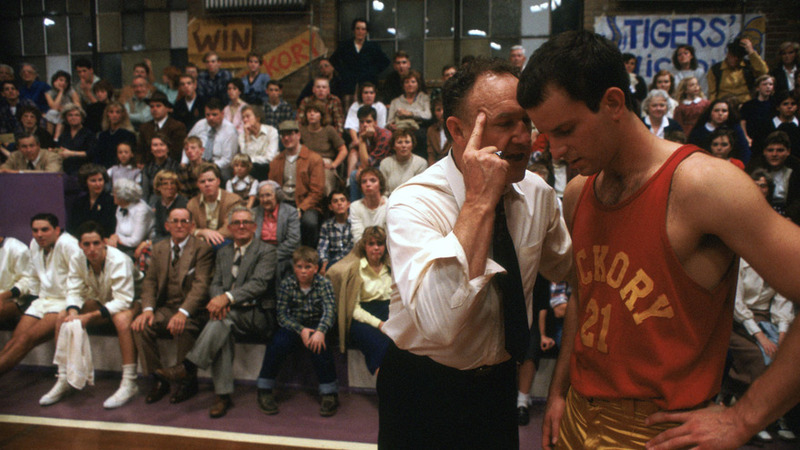 In 2001, Hoosiers was selected for preservation in the United States National Film Registry. 5. George Steinbrenner, former owner of the New York Yankees, once told the filmmakers he’d seen Hoosiers about 250 times. 6. The final game scenes in Hoosiers were shot at Butler University’s Hinkle Field House, which was where the actual 1954 championship game was played. While the filmmakers did not find enough extras to fill the field house, it was not a problem for the 1954 basketball matchup. The arena was filled to the rafters, and tickets were being scalped outside for as much as fifty dollars. 7. The announcer at the final game in the movie, Hillard Gates, was the real life announcer who did the 1954 championship game. 8. Jack Nicholson was the producer’s first choice to play Coach Norman Dale, but due to scheduling conflicts he had to back out. After Robert Duvall declined the role, Gene Hackman stepped in and the producers cast him. 10. Gene Hackman predicted the film would flop and he was convinced playing the role of Coach Norman Dale would be a “career killer,” but in truth it was the exact opposite. 11. Hoosiers earned two Academy Award nominations – Dennis Hopper for Best Supporting Actor (losing to Michael Caine in Hannah and Her Sisters) and Jerry Goldsmith for Best Original Score (losing to Herbie Hancock for Round Midnight). 12. There is only about six minutes of basketball in the nearly two-hour long film. However, filmmakers still wanted it to be authentic, which is why they cast basketball players, not actors, in a majority of the roles. 13. Hoosiers was directed by David Anspaugh and written by Angelo Pizzo. The duo teamed up again in 1993 to make the film Rudy, another “based on a true story” sports biography. Be sure to visit HDNETMOVIES.com for a complete listing of repeat air times, and much, much more.